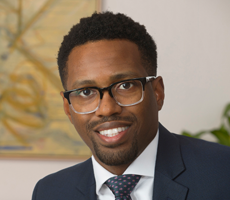 POTOMAC, Md., March 26, 2019 — Richard D. Norwood, an attorney in the Employment and Labor Law Practice at Shulman Rogers, has been selected as a 2019 National Employment Law Council Academy Fellow. The National Employment Law Council Authority (NELC) provides mentoring, educational opportunities and networking events for leading minority employment law attorneys and is committed to enriching the minority bar among management-side employment lawyers. In his practice, Richard counsels employers on a wide range of concerns including employee misconduct, workplace harassment and discrimination, and compensation and leave issues. Drawing on his proficiency in solving issues before they become problems, he assists business owners in taking preventative measures to proactively avoid costly disputes and litigation. Richard earned his J.D. from the American University Washington College of Law and his B.B.A. in Finance from Howard University.